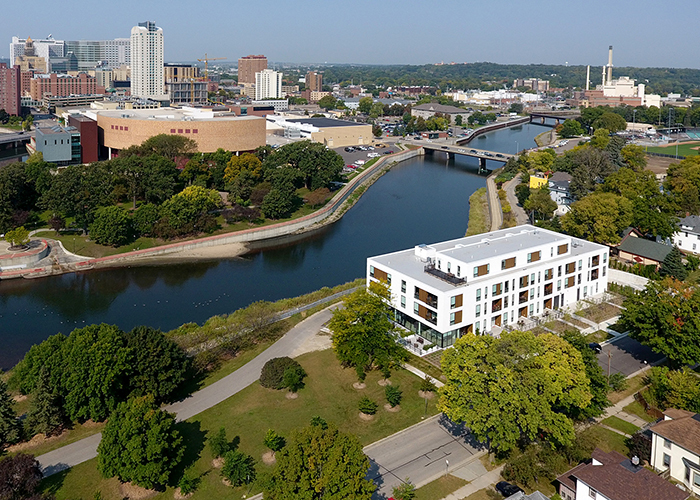 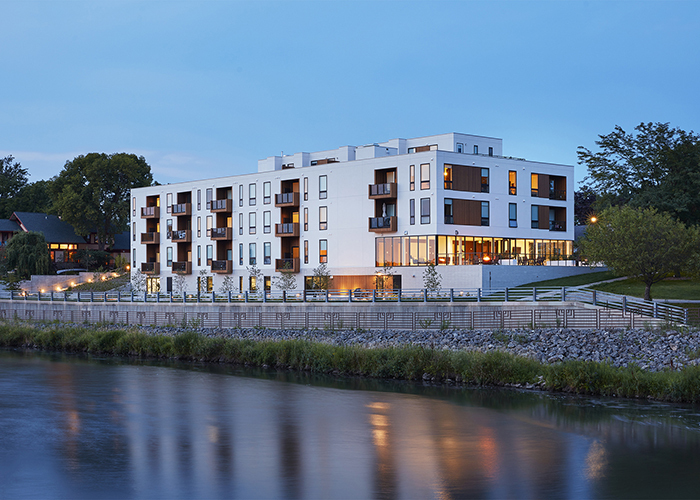 The 29-unit multi-family residential Lofts at Mayo Park are located on the East bank of the Zumbro River across from downtown Rochester, the Mayo Civic Center, and Mayo Park. The building has a full level of below grade parking, with three levels, plus penthouse level, of housing units above and is constructed of cast-in-place and precast concrete with wood framing above the parking level. 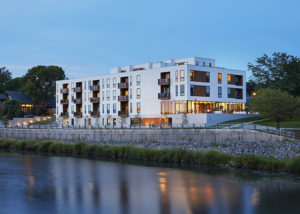 A steel transfer system at the south end of the building adjacent to the south patio creates large, open floor plates for the lobby and shared amenity spaces.